Beyoncé’s visual album, Lemonade raises questions of infidelity and betrayal. Though these messages resonate with the masses, our identities are not solely defined by men. We exist beyond these relationships and exchanges. We are queens, after all: grandmothers, mothers, daughters, and sisters. Lemonade celebrates the multidimensional facets of black women. The complexities of womanhood and one’s journey from daughter to mother is represented through each song, image, and lyric and ultimately, empowers women to thrive. The courage and bravery of the queens who raised us serve as reminders of our own magic and excellence. These legacies are passed down from generation to generation in what becomes a powerful symbol of womanhood. These are six lessons and lyrics that remind us of our worth and value in a society that continues to undermine us. Women must stand up for each other. The ensemble of women in Beyoncé’s Lemonade represents the diversity of Black women. The fashion, makeup, hair, and choreography unifies each woman as an extension of one another. Though our stories, styles, and backgrounds may differ, we are joined by our experiences. We carry burdens and responsibilities that are unique to our upbringings and classifications. While we celebrate the beauty of one another, we are often discarded by society. As a result, Black women must continue to defend one another and combat the injustices that attempt to dehumanize us. We must also guide future generations to do the same. Respect for our elders is of the utmost importance. The representation of women in Lemonade spans generations. Lemonade highlights the beauty and diversity of black womanhood while spotlighting the individuality that we each possess. By capturing the fullness of our legacies through honoring generations of grandmothers, mothers, and daughters, Lemonade becomes a visual history of our ancestry. The legacies of our elders are regarded as highly influential and honoring their contributions is essential to the formation of our identities. There is no “right way” to be a woman. Our experiences vary and they are all important. Younger generations look up to those with more wisdom, experience, and influence. We look to our mothers and grandmothers for guidance and assurance. The depiction of mothers and daughters in Lemonade is represented through emotional expressions of attachment, adoration, and companionship. Beyoncé’s own daughter, Blue Ivy makes multiple appearances, both in the womb and with her mother in home videos that show the true, unfiltered nature of motherhood. These visuals add a personal element while showing the multiple stages of womanhood through an evolution of self. Beyoncé's growth and example will prove to be beneficial to Blue Ivy's upbringing, just as her mother was for her. By examining these transformations, women are able to appreciate the relationships that they have with their own mothers, daughters, and sisters. When mothers encourage their daughters to be who they are, they are restoring their power and agency. Though others will test them and try to rob them of their worth, they will look to their mothers for inspiration, and remember that they are strong. Recognizing history is part of honoring our legacy. The Malcolm X speech that was sampled in Lemonade highlights the plights of Black women throughout history by amplifying the continuous oppression of our mothers, grandmothers, and daughters. Though this speech was delivered in 1962, it couldn’t be more relevant. Black women continue to fight for justice, accountability, and equality and face hatred, violence, and discrimination. Our great grandmothers were enslaved. Our grandmothers were stripped of their rights and treated like second class citizens. Our mothers dealt with the aftermath of the civil rights movement. As their granddaughters and daughters, we are left to sort out the suffering of our communities. 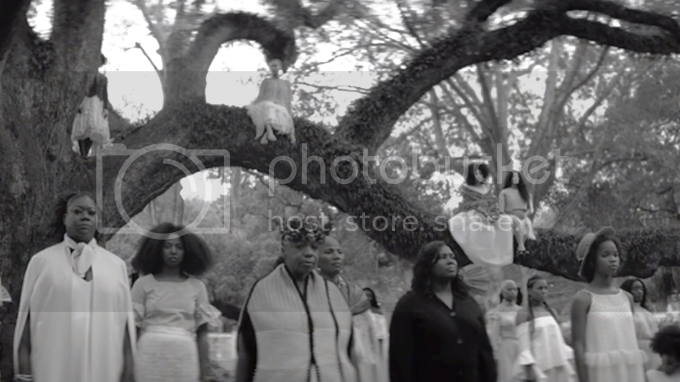 Acknowledging these failings promotes change and accountability which is why Lemonade highlighted the tragic losses of mothers whose children were killed at the hands of police. We are not victims. We are resilient. Though Black women face many obstacles, we confront them head on. We do not look at ourselves as weak, broken, or incapable. Beyoncé voiced many relatable issues in Lemonade including concerns about identity, family, relationships, and society. By voicing these problems, she acknowledged that imperfection is part of life. When we remember the lessons that our mothers and grandmothers taught us, we overcome. When we apply their teachings, we prevail. In doing so, we take ownership of our lives. Beyoncé’s ability to reflect this message with her album shows that what is personal and private has the ability to transcend and transform the individual. When we open ourselves up and allow others to see our truth, we are taking a stand. We are taking control of our stories and narratives by defining our experiences for ourselves. Embrace your natural artistry, beauty, and creativity. Love who you are. Lemonade showcased the beauty, artistry, and creativity of Black women. Black women were represented as complex. Though society tries to label us and confine us, we have learned to celebrate one another regardless. Each of our identities are rooted in history and part of identity requires building upon the contributions of those who have influenced us. Self-love and acceptance must be passed down in order to break damaging cycles, so we affirm ourselves. Being a mother doesn’t mean that life is over. Being a daughter doesn’t mean you don’t have control. We each share these responsibilities and must encourage one another throughout.